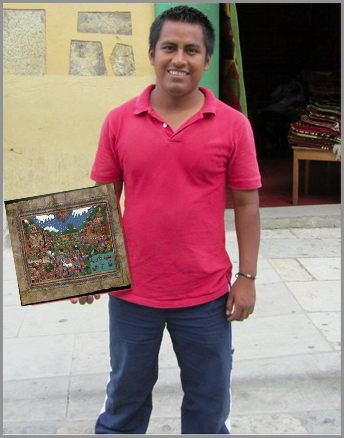 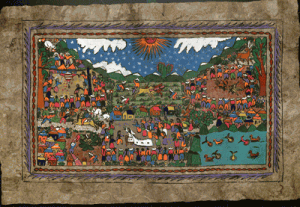 Modern amate paintings are descendants of pre-Columbian and colonial codices. 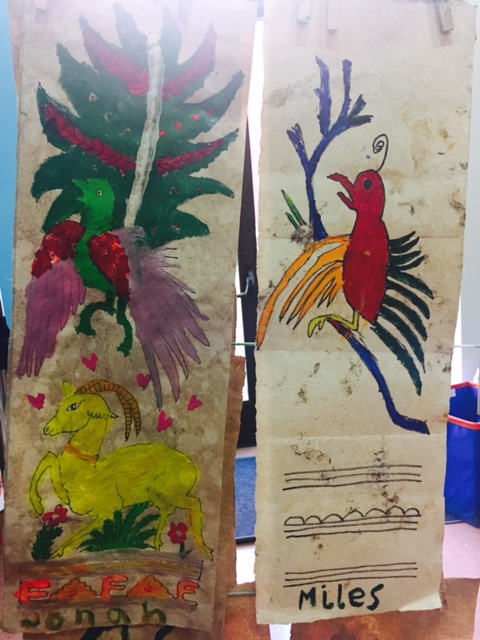 Amate paintings created by U.S. youth in a workshop at the museum of art at the University of Oregon, 2015. 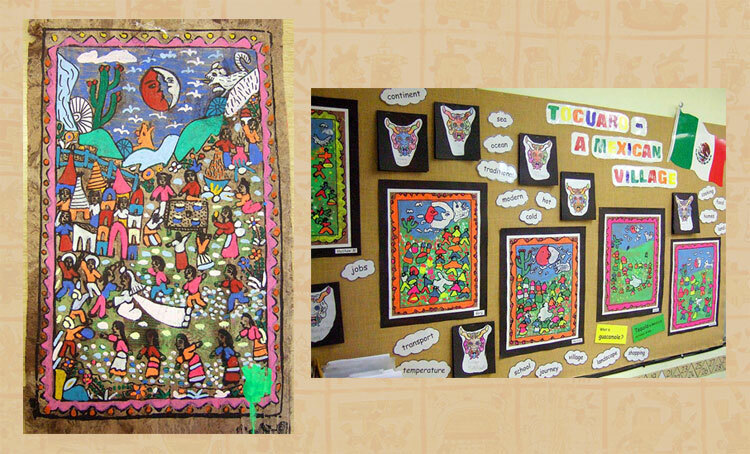 A high-school art lesson in amate painting, by Grace Hall, n.d.
Mexicolore’s amate painting results, students in the U.K.